The shady, no-rain-here blue seats. Just a few steps from real bathrooms – kept toasty warm on cold nights – and the Ben & Jerry’s ice cream cart. Ice cream! Baseball heaven, those blue seats. 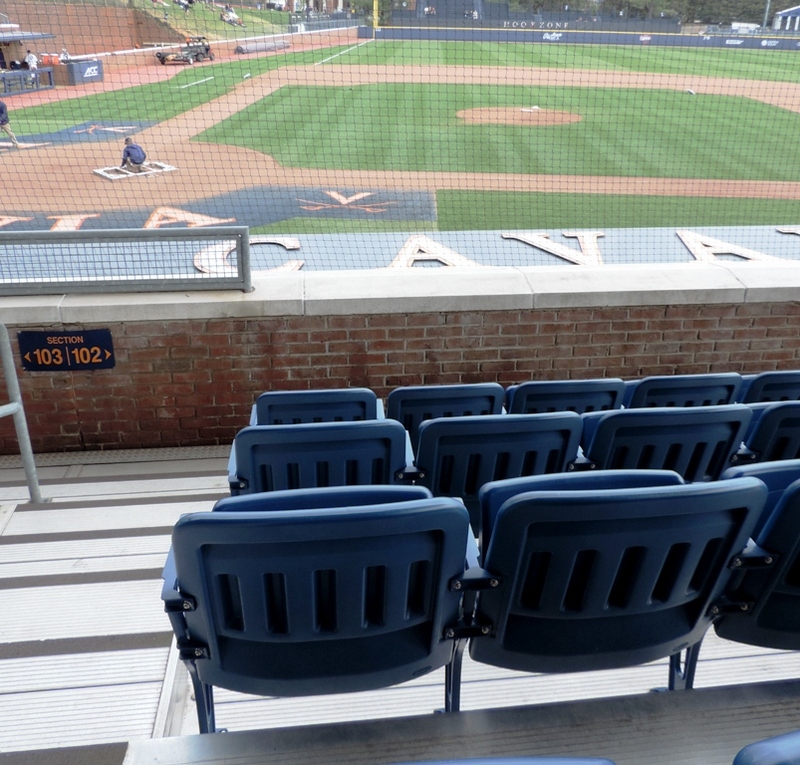 Bleacher fans like us have been on the waiting list for those blue seats for years, waiting for the call that says, “Would you like to move to a luxurious blue seat in the shade?” Davenport Field isn’t that big and the call never comes. But, sometimes those blue seat people turn their tickets back in for games they can’t attend. And, if you’re willing to wait in line before the game, you might snag one. And, this season we did. Every time. 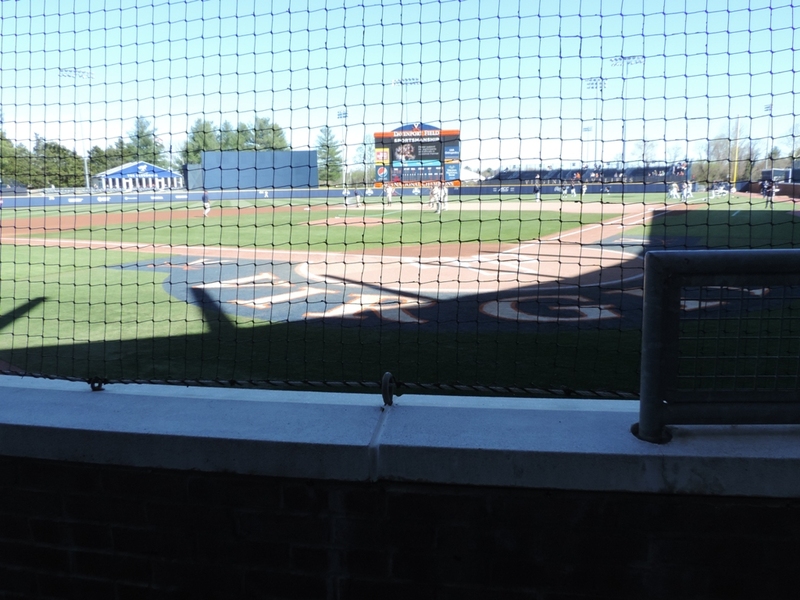 Over the course of the season, we sat all over in the coveted blue seats – first base side, third base side, next to the dugouts, behind home plate. It was wonderful. Seriously. They let us sit here. The last regular season home game of the season was Tuesday. 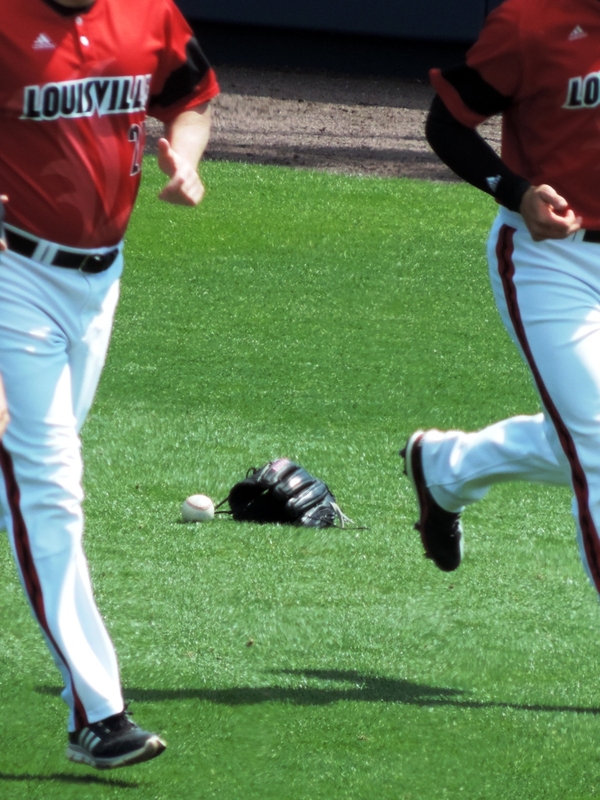 I can’t capture action shots with my camera, I’m hopeless that way, so I have to look for other things. And, the protective netting is always getting in the way. I can’t get the shutter right and by twilight I can’t shoot at all. And, tell me again what the ISO is? Here’s our season in the Blue Seats. 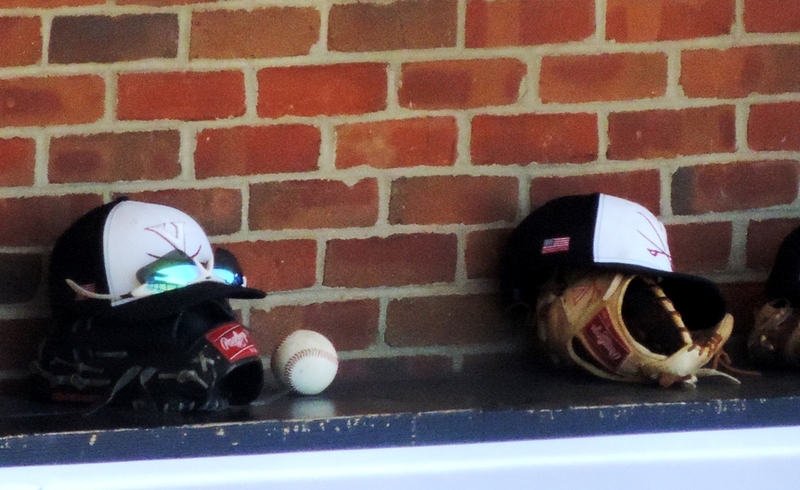 Baseball’s not over for Virginia. Not yet. There’s one more away game and then the post-season. This post’s not over either … more life in the blue seats tomorrow. 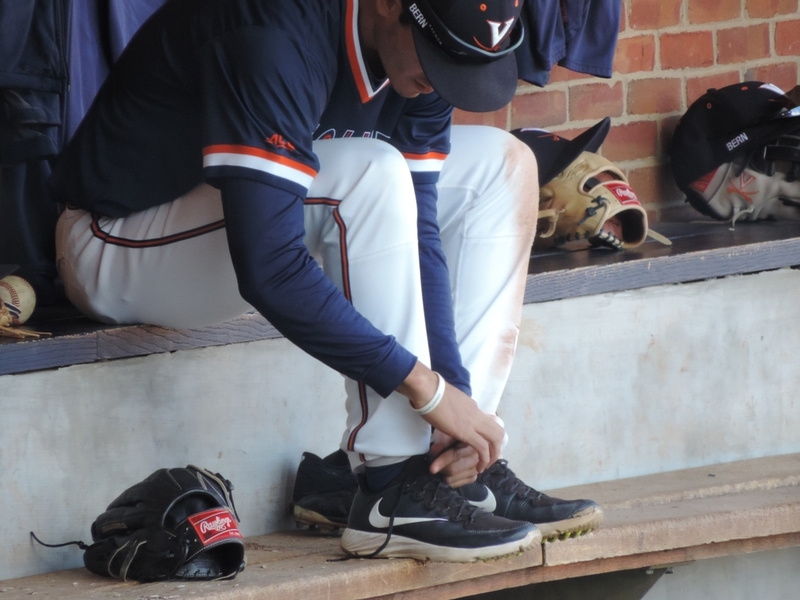 This entry was posted in Baseball, Life, University of Virginia and tagged college baseball, Davenport Field, photography, University of Virginia by Jackie, The Baseball Bloggess. Bookmark the permalink. The blue seats have clearly spoiled us rotten. Those blue seats look positively comfy! I’m going to start visualizing you and, by now non-Limpy, Editor/husband in those sweet seats every time. I’ve been told that if you can see an event in your mind there’s a good chance it will happen that way. Can’t hurt to try. I dream about those seats! The renovation over the off-season will extend the blue seats and will be awesome. So, I’m staying confident … and visualizing blue! Fingers crossed for the blue seats. And wahoowah, let’s go UVA! 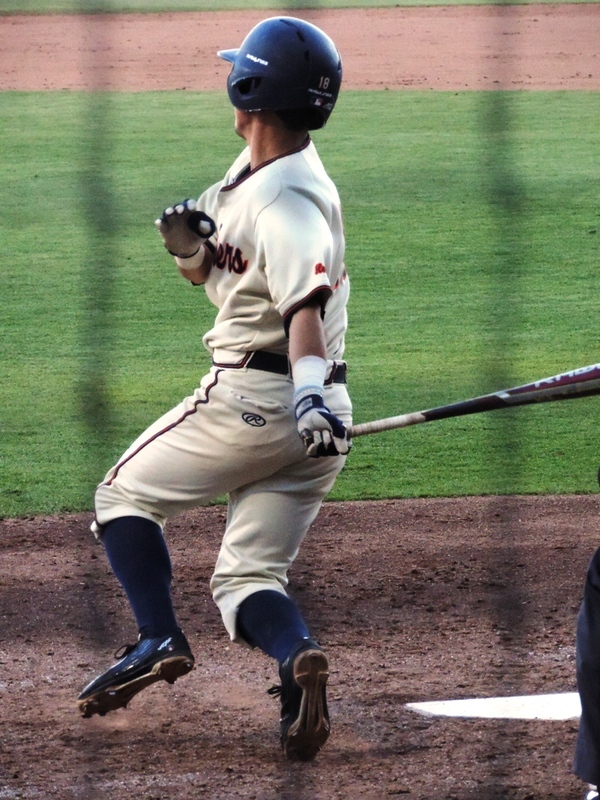 The Hoo’s won their 40th game of the season last night … but their 2 best starting pitchers — Haseley and Murdock — are hurting (and both missed their starts in this series). But, hopefully, a few days off will make all the difference. Wahoowah! Hey, your pictures are wonderful, and loved this post! … and Ben & Jerry’s?! Criminey, that’s just not fair. Here’s hoping all the dedication, doggedness and patience you’ve shown, standing in line hoping for an upgrade, will be rewarded and soon bless you with two blues. Well, to be fair, anyone can enjoy the Ben & Jerry’s ice cream cart … but from our regular home in the bleachers it’s a pretty long walk. On a hot day, that Cherry Garcia will be melting all the way down your elbow, onto your shorts, down your leg and into your sock before you get back to the bleachers. Maybe I’m exaggerating. Blue seats rule! Ever hopeful they will be yours soon! Personally when you see the seats with cushions on them – I think DELUXE Seating! then I think HOT! 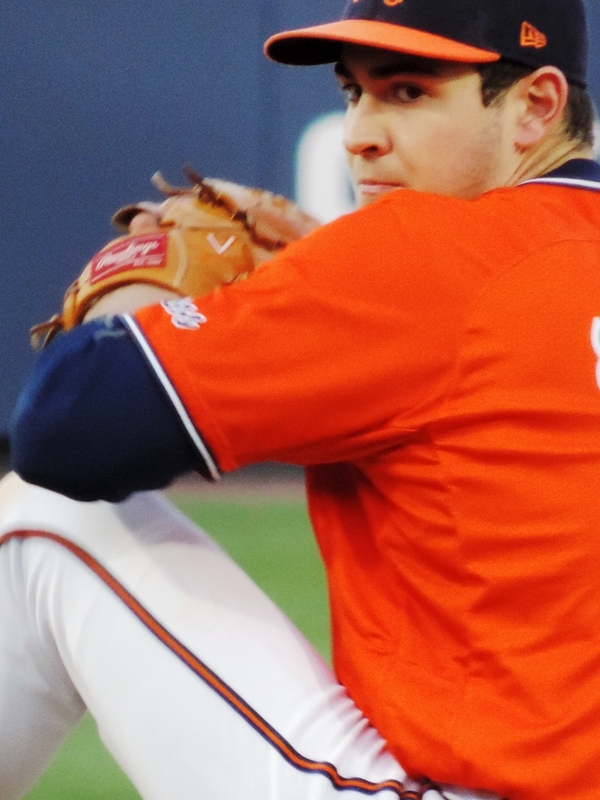 Best of luck to UVA! 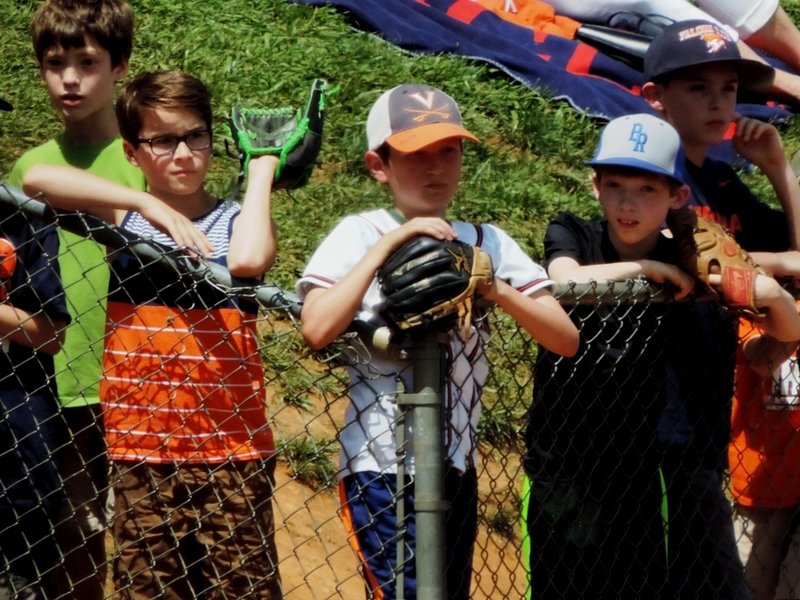 Love the photo of the kids with the gloves. I trust you and Randy bring one or two…if you’re not so busy with the scorecard. I love your dedication to sit in the blue seats! Well deserved. Blue seats are the ultimate in ballgame comfort and decadent legroom. Thanks for stopping by!